Kingman, Kansas and Cottonwood Falls, Kansas. Depending on the winds, I will fly to one or the other. If I think I can pull it off, I will visit BOTH! 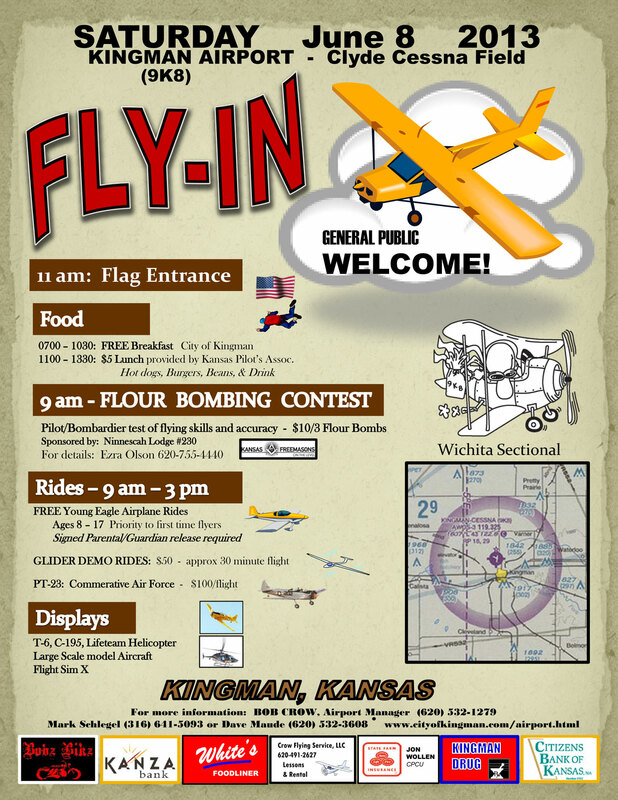 Eastern KS EAA Chapter 1535 is hosting a pancake breakfast/fly-in at the Cottonwood Falls Airport in Cottonwood Falls, KS on Saturday, June 8th from 7:00 AM – 10:30 AM. This is the same weekend as the 76th Annual Flint Hills PRCA Rodeo and the Flint Hills Rodeo Parade. Parade is Sat. @ 2 PM, Rodeo is Sat. @ 8 PM. Transportation from airport will be available. Camping at airport is welcome. For more details visit www.1535.eaachapter.org.